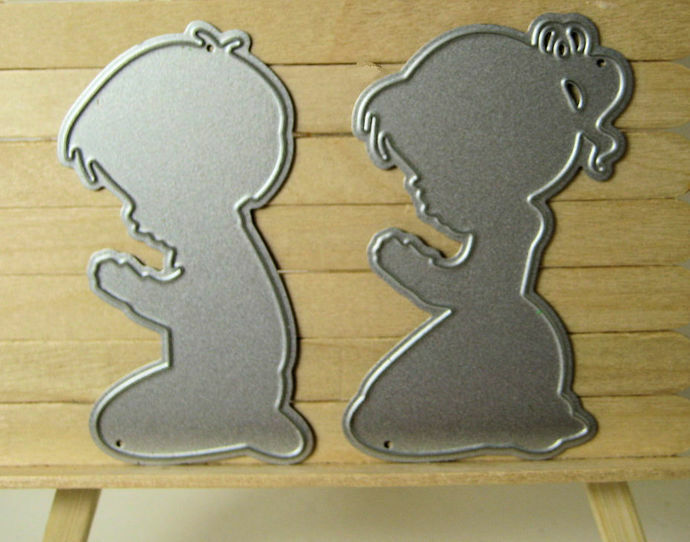 Praying Little Boy and Little Girl Cutting Dies, each is 2 & 1/2" tall. 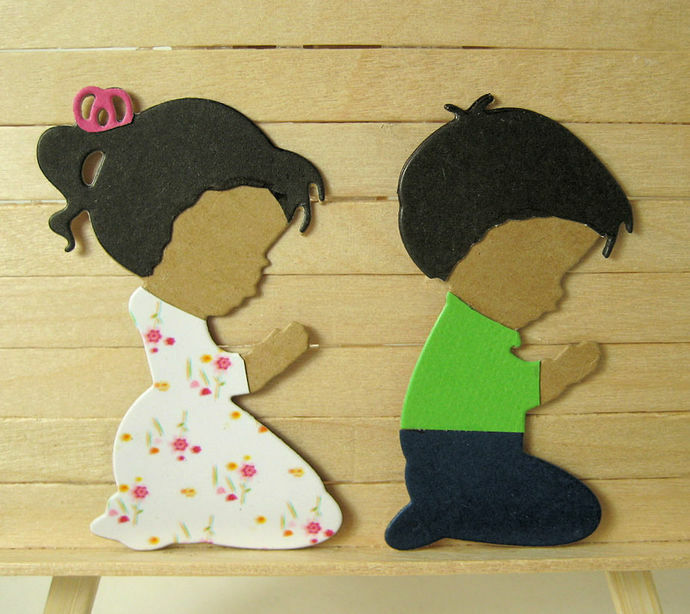 Had fun re-cutting in different colored cardstock for the clothes. I had to give a few minutes thought on cutting the hair. All around I think they came out cute.